I was born in St Petersburg, and blessed with fabulously artistic parents. My mum is a singer, and from a young age I’ve been immersed in the life of a creative – attending concerts, galas and other events since I was tiny. I loved the sparkle and excitement of these occasions, and they sowed the seed for what was to become my dream job – a wedding planner. My career as a destination wedding planner in Ibiza is a culmination of the loves in my life – creativity, travel, fashion, art, communication and the satisfaction of a job well done. I’ve seen the world of large-scale events from many different angles, organising fashion shows and PR events, and working as associate producer for the Sochi Olympics. Wedding planning allows me to indulge both my passion for details and my flair for design, and it means I get to meet wonderful couples in love along the way. A destination wedding is unlike anything else – it’s the chance to make lifelong memories on distant shores, and celebrate with your favourite people around you. It’s the best holiday you’ve ever had, and it marks the start of a much bigger adventure for you. Over the years I’ve become something of a collector of languages and cultures – speaking Russian, English, Spanish, French and Italian fluently – and I like to think that each of the weddings I design includes little touches from the fabulous nations that have inspired and enlightened me. Have a look at my services page to find out more about how we can work together to create your luxuriously joyful destination wedding, and get in touch to start your planning journey. I can’t wait to hear from you. I’ve fallen in love with this beautiful white isle, and I hope that you will, too. Ibiza is a rare and special blend of the intensely laid back and the exquisitely luxurious, which makes it the perfect location for a wedding celebration. It’s small enough to feel intimate, but what it lacks in size it makes up for in atmosphere. Packed with venues of all shapes and sizes, meaning you can say your vows outside on the beach, or looking out over the sparkling blue water from a cliff top. 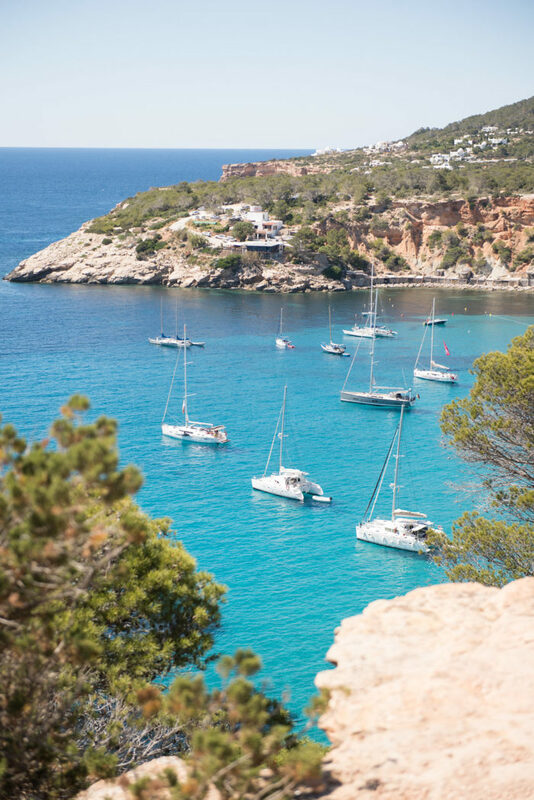 Ibiza is known as an island that loves to party, but away from the club scene you’ll find beautiful views, serene beaches and gorgeous boutique hotels. There’s something to suit every taste here. Having travelled extensively and lived in Italy, Russia, Spain and the US, it takes something pretty magical to make me want to put down roots. Ibiza has that magic, and I can’t wait to introduce you to all of its possibilities for your destination wedding.